Thank you for visiting my website. 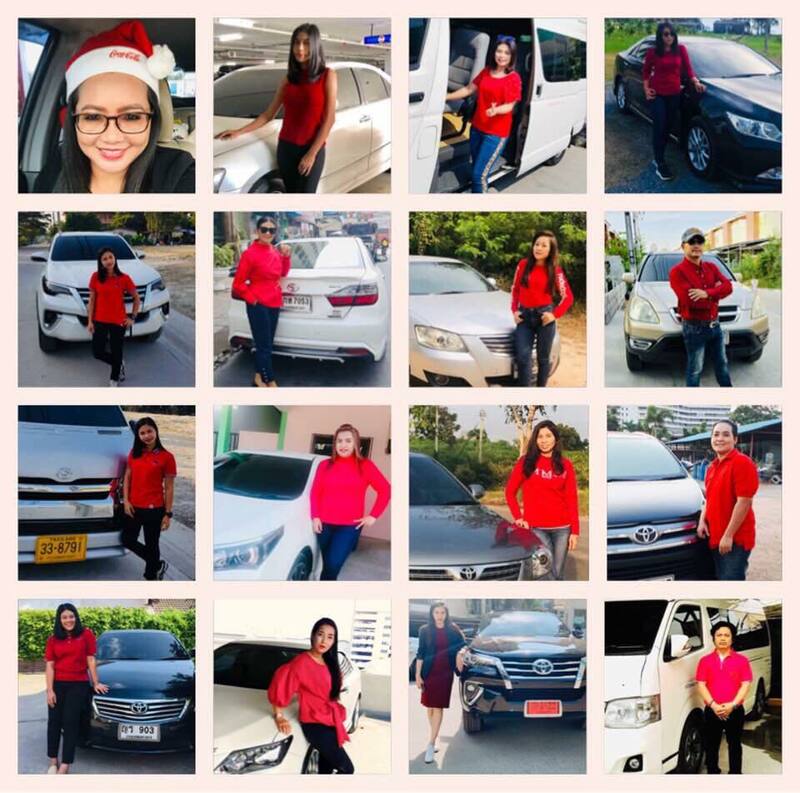 My name is Tan, I am 36 years old, a single mom, and live near Pattaya in Thailand. I speak excellent English and have a good knowledge of most hotels in Pattaya. Those I do not know I will research before I pick you up, so you will be at your chosen destination in the best possible time. I am an experienced and safe driver. We have six cars available! Two are Honda CRV SUVs two are new Toyota Camry saloon cars plus one Toyota Austin and one Toyota Furtuner. I have a team of six drivers, including myself. Five of us are female and we have one male driver. If you book and we need to send any other driver we will notify you at the time of booking. All my drivers are smart, safe drivers, and speak excellent English. All my cars are clean, comfortable and insured. You can see photographs on my gallery page. We do have LPG tanks in the trunk of the cars so the saloons are better for just one or two people, with normal luggage. The larger cars can comfortably carry three passengers with luggage and four people at a push. I also have a Toyota mini bus available for larger groups. I will be punctual at all times! I will deliver you to your hotel or destination in a safe and timely fashion! For any more information please contact me.